Another day another set out outfit photos. I think these are actually from a few weeks ago before it started to go downhill again. Ella also snapped behind the scenes snap of me when I was filming an outfit video that I uploaded to my Youtube Channel admits all the drama of the losing of my account etc. Go ahead and check it out over on my channel if you want a little bit of summer inspiration. Although as I type this it's currently peeing it down with rain after a little storm. Oh British Summertime, You so crazy. Adorable look. Love the sandals. i love breton stripes as they are so timeless! 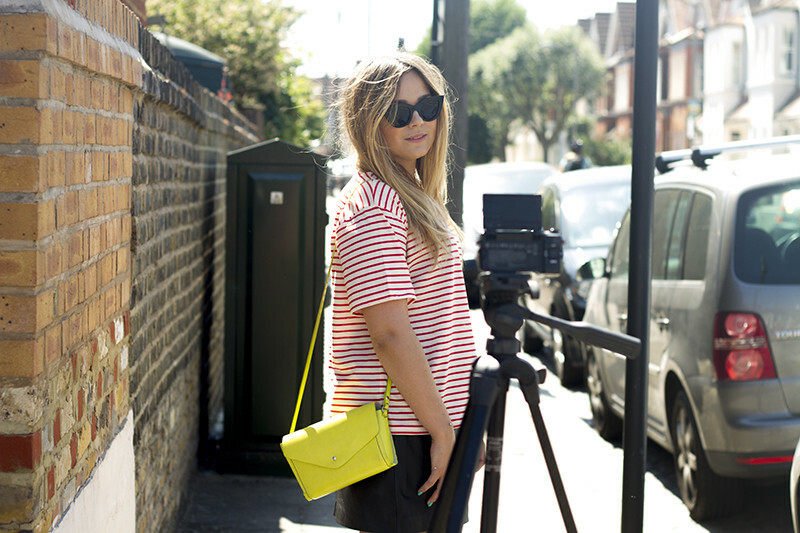 i love how you've somewhat modernised it with your fabulous neon bag! They're timeless and always look good! This casual look suits you! great outfit! love that bag, seems to go with everything! Great outfit. I love those sunnies and bag! Stripes are always a winner ! Love the top ! Great outfit I love stripes a lot!! Adore those sandals on you lily! Love that skirt, it's so perfect for a simple outfit like this! Can't go wrong with classic Breton stripes! 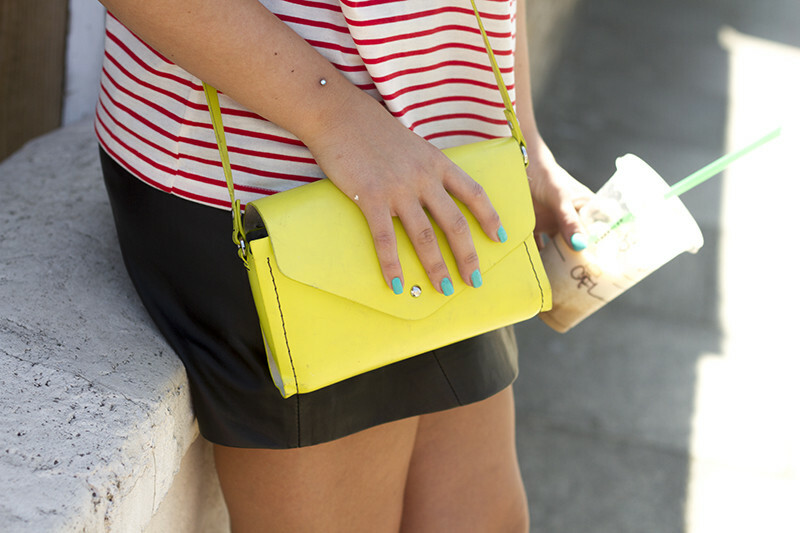 Love it with that bright yellow bag too! Such a gorgeous yet simple and casual outfit. 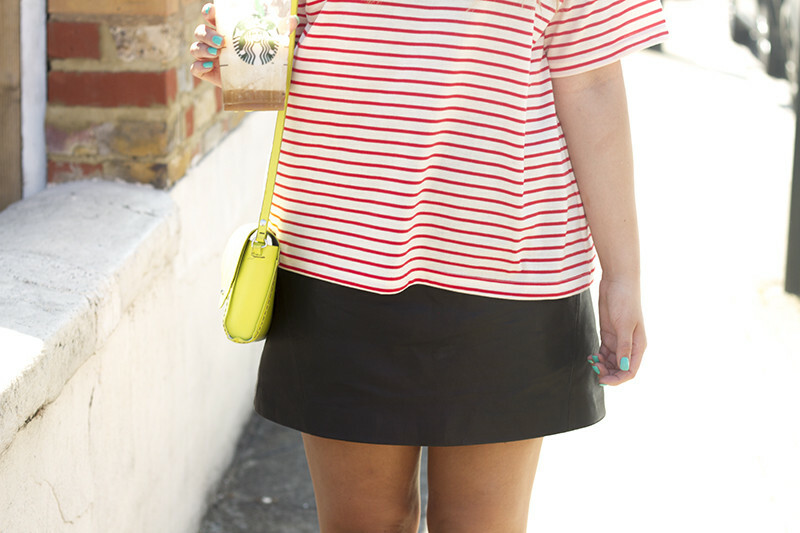 Lily we adore this outfit over at Sunday Best HQ. You look fantastic! That's it! You are now an honorary French woman! Love that skirt, a-line skirts are so flattering! I'm trying to wean myself off Breton stripes, you're not helping! The evening with the prom continues to be often essentially the most expected event of the youthful woman's existence, and it's a very good chance to depart an eternal influence on all of her pals. Being a chief in prom dresses, Gashouse is providing 5000 various designs of females dresses, which includes prom dresses, <a href="http://www.bestdress2014.com/flower-girl-dresses-uk62_66flower girl dresses</a>, bridesmaid dresses, and so forth. I love stripes! They suit you very well! The green bag is so good ! The bags is so cute !